Toyota India has launched a limited edition of its popular MPV, Toyota Innova Aero which has been launched with some special cosmetic features and Aero branding. In the past, we have seen special aero edition on the Toyota Corolla Altis as well. 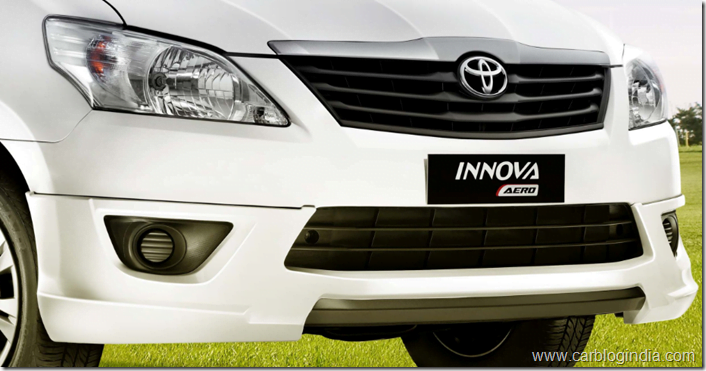 Toyota India will make only 1200 units of the Toyota Innova Aero and they will be on sale until December 2012. 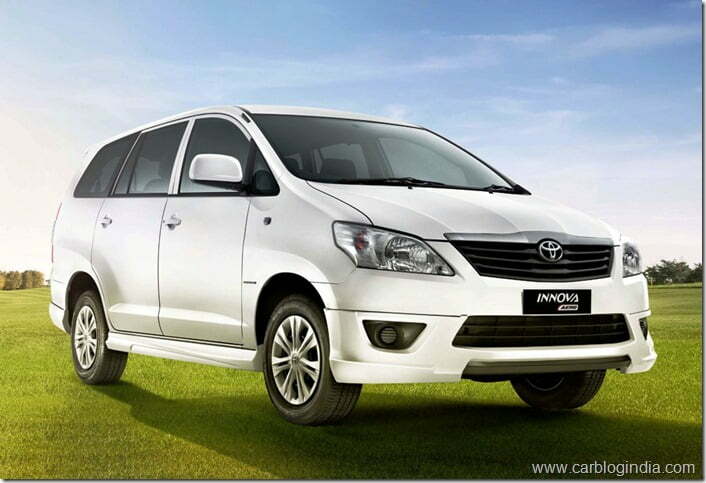 The Innova Aero is based on the GX Grade and is available in 7 seats and 8 seats option. Customers can also choose from the BS3 and BS4 version of the Innova Aero. Toyota has launched the limited Edition to provide exclusivity and sportiness to its customers offered by this new limited aero edition of the Innova. The Aero edition will be offered in two colours on the Innova, Super White and Silver Mica Metallic. The special Aero Edition has been priced between Rs. 12.25 Lakhs to Rs. 12.30 Lakhs ex-showroom Delhi. 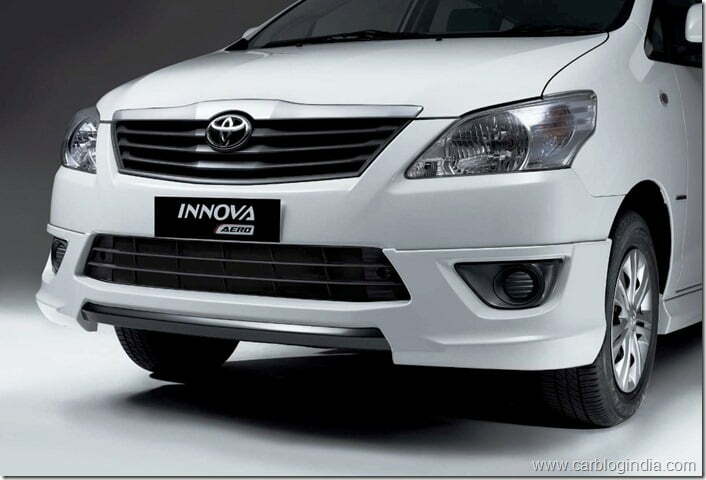 Dual Tone Front Bumper Spoiler – This is a race inspired spoiler for adding sporty appeal to the front of the Aero Edition of Innova. 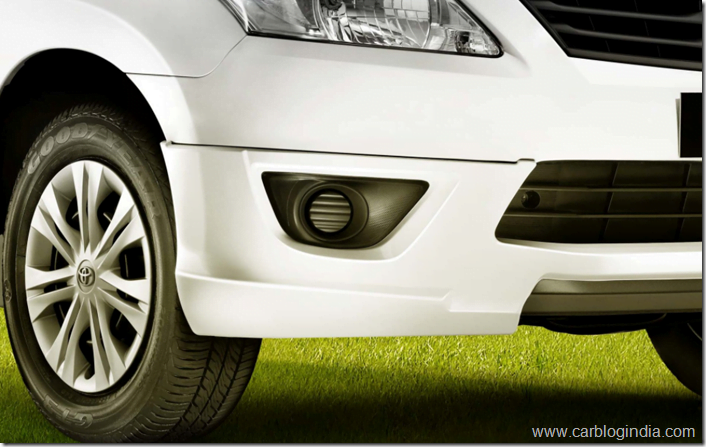 Dual Tone Rear Bumper – On the lines of the front bumper spoiler, the rear one also gets dual tone styling. 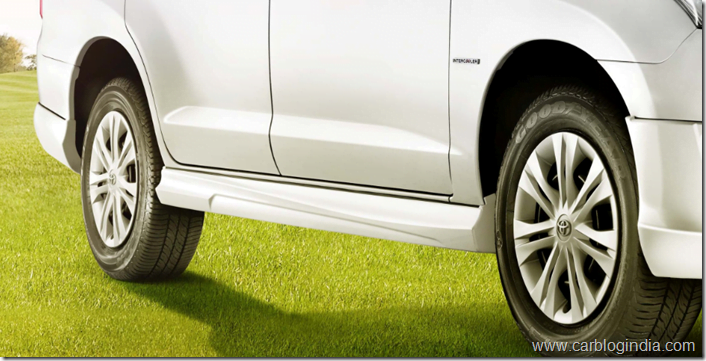 Side Skirt– Side skirting makes the profile (side) view of the Innova look distinct from the normal Innovas and make it look more appealing. Roof Spoiler- The roof spoiler helps to complete the sporty appeal of the Innova Aero. Aero Emblem- The Aero branding has been made visible by adding the Aero emblem quite easily visible on the special edition.